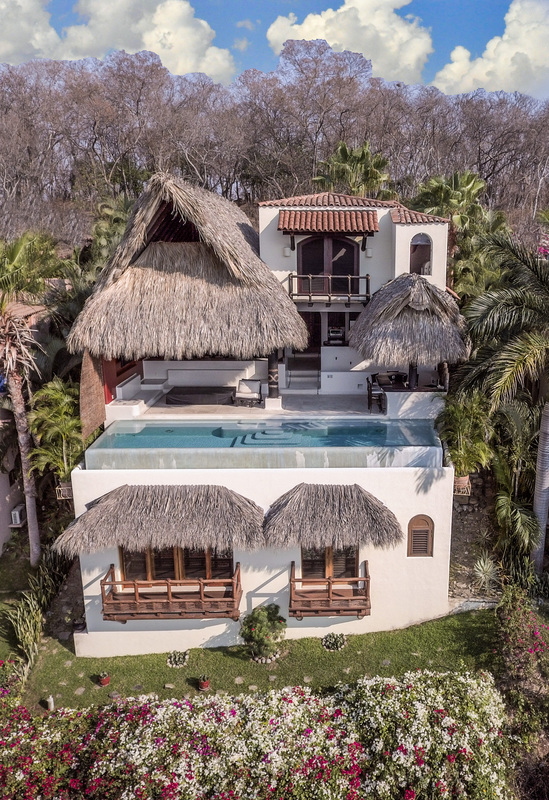 Casa Colonial is a unique and elegantly designed house that displays the character and detail of traditional Mexican architecture and Spanish Mediterranean style. 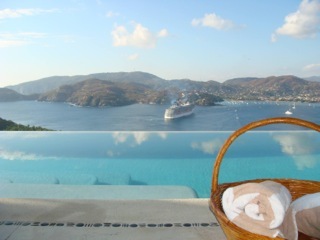 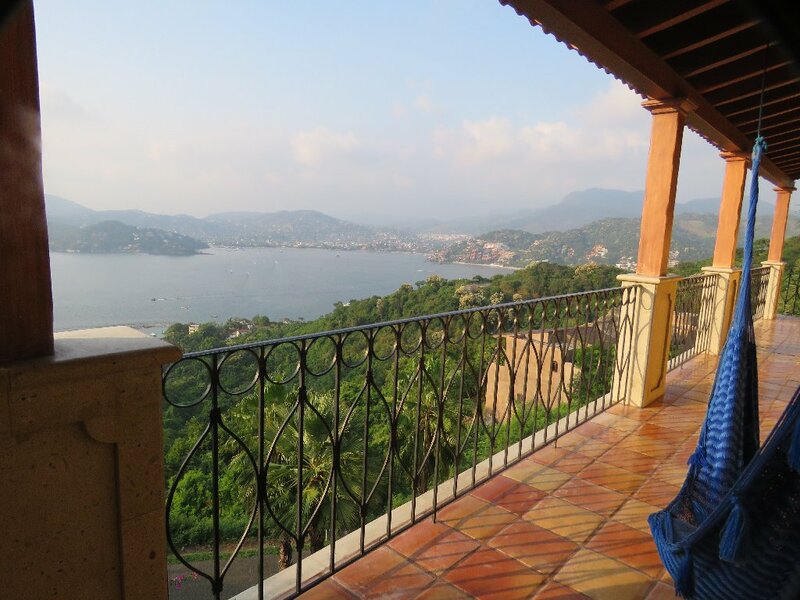 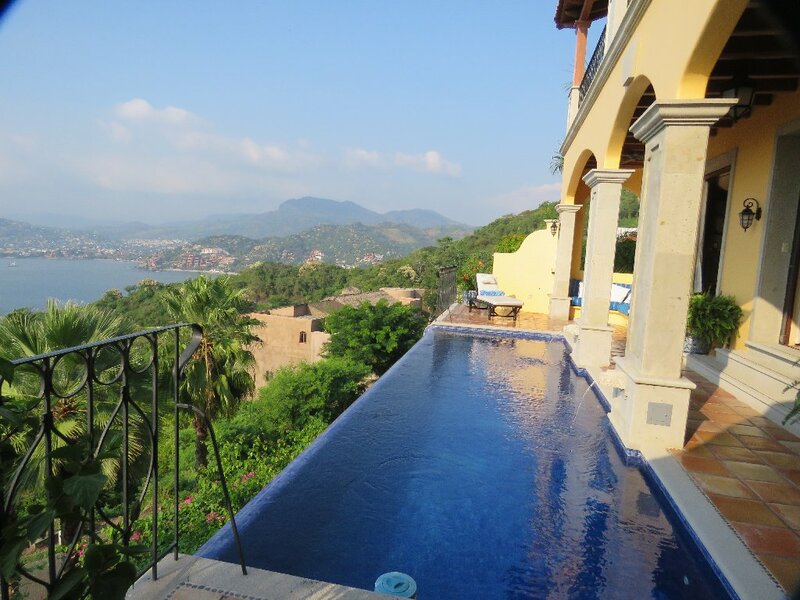 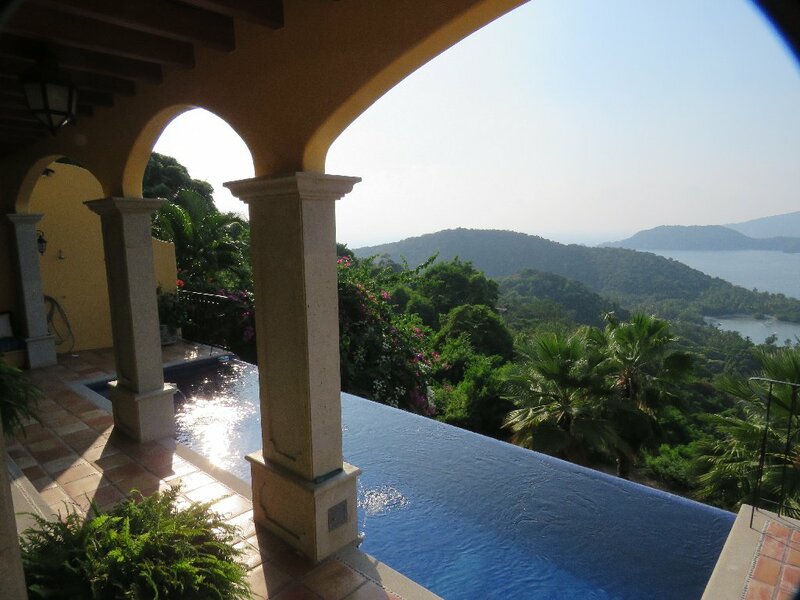 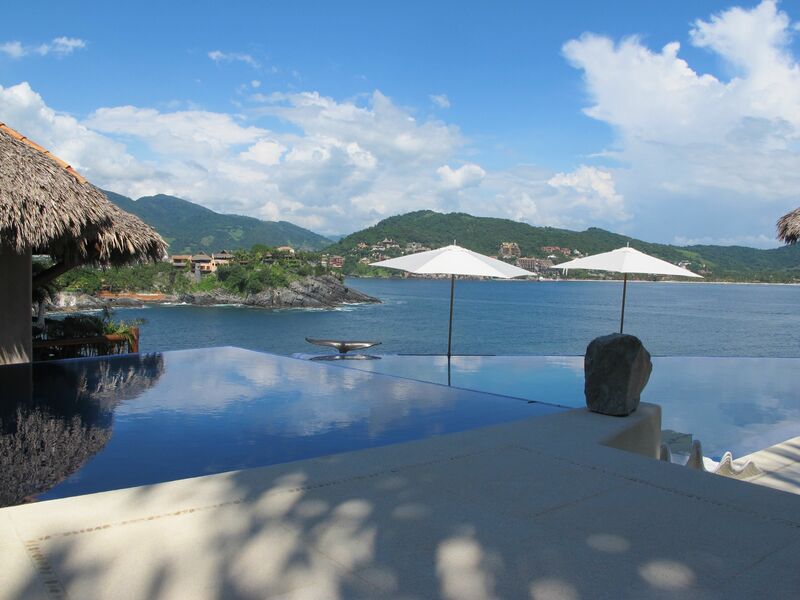 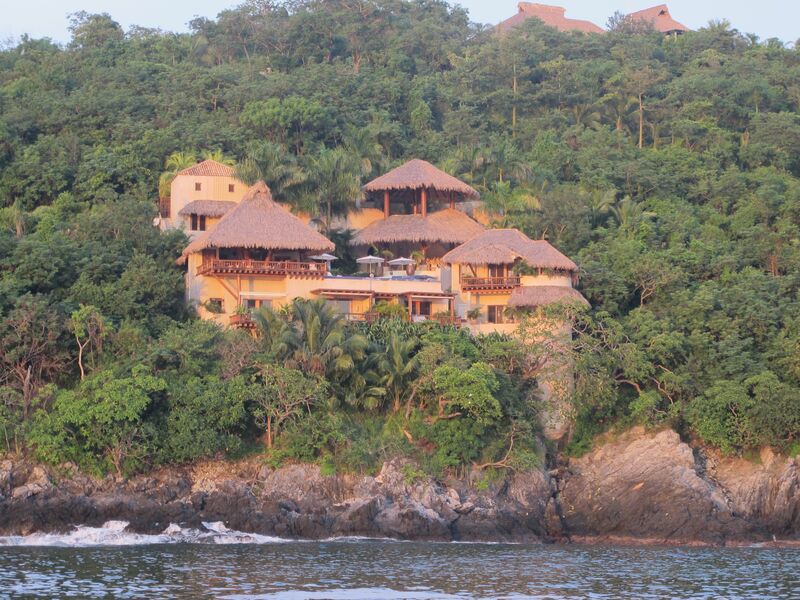 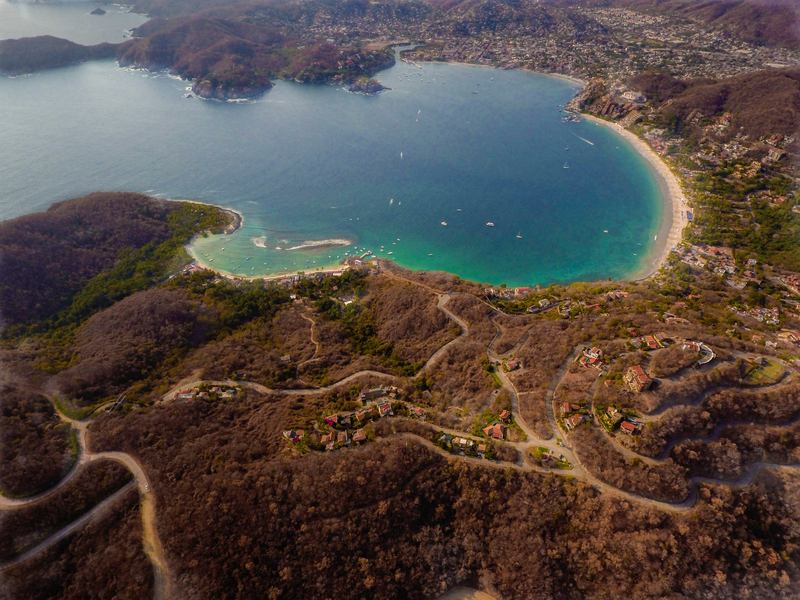 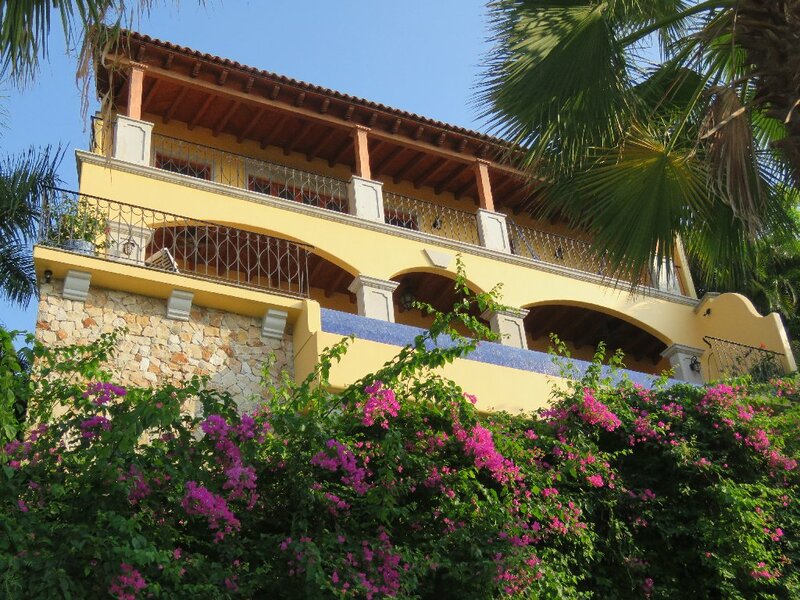 It is situated on a solid rock bluff, offering expansive views of the local mountains, Zihuatanejo Bay and the Pacific Ocean. 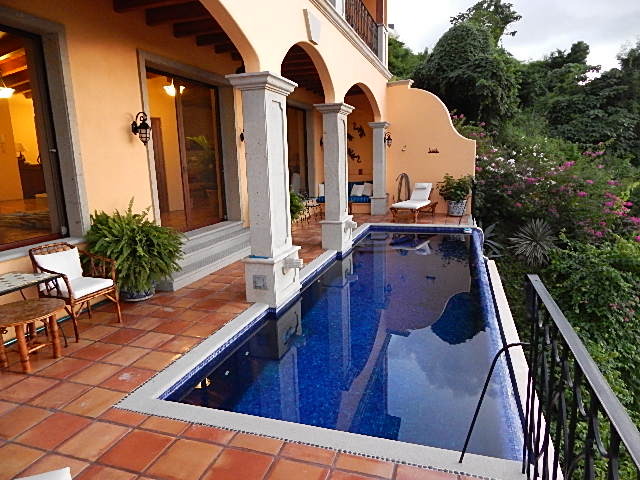 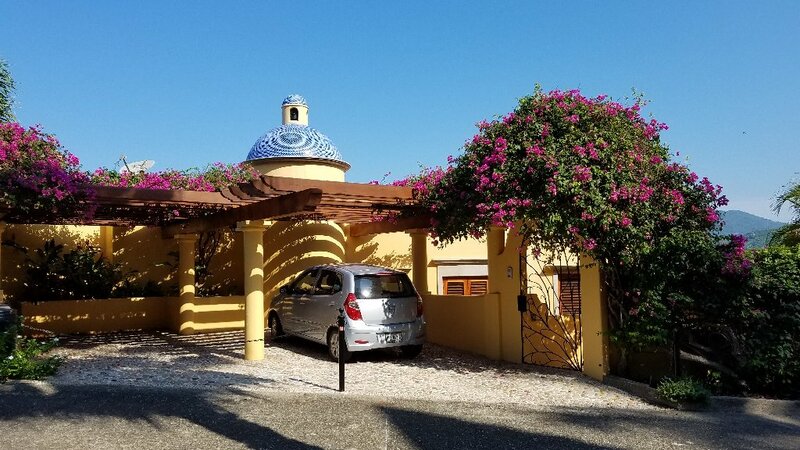 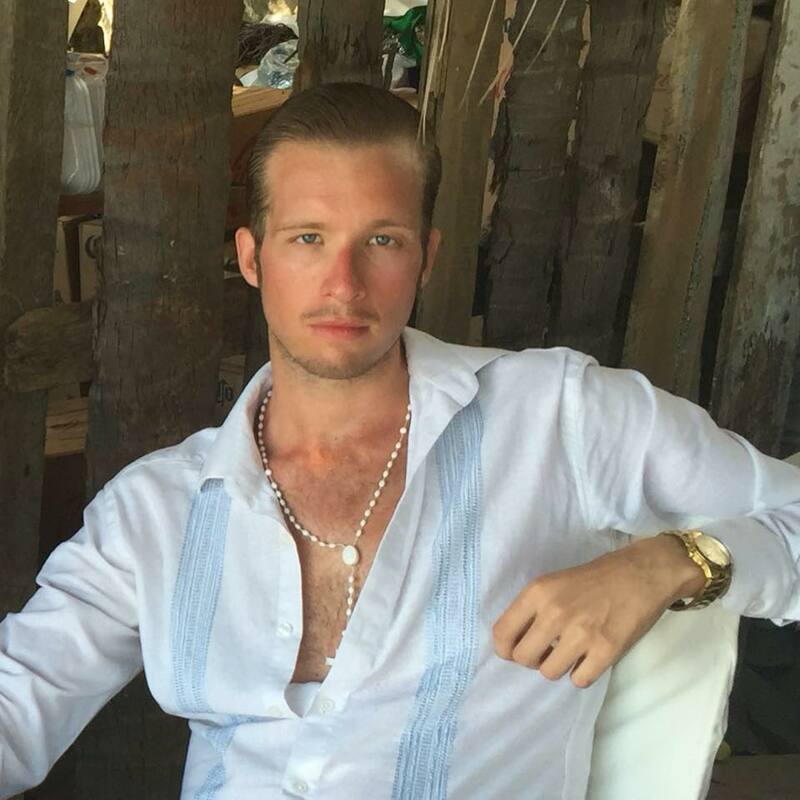 The house is located in the gated community of Cerro del Vigia, offering 24 hour security. 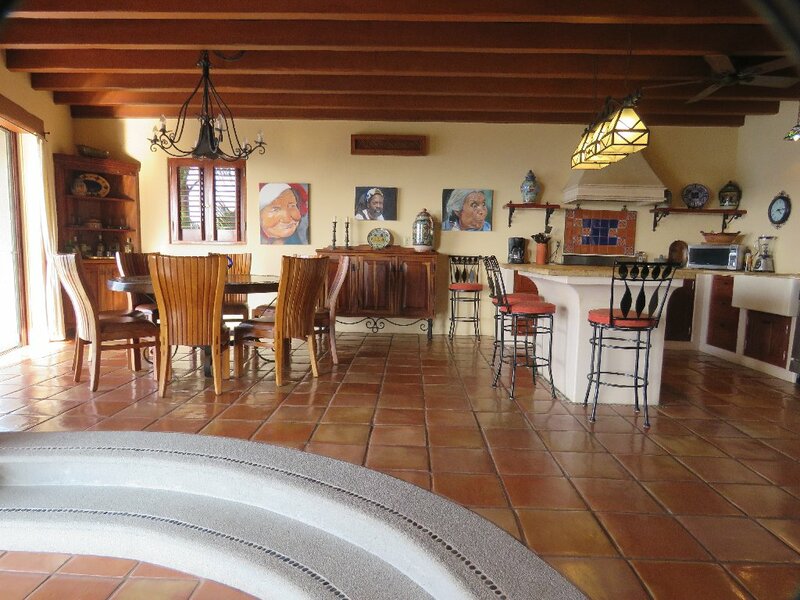 The main level consists of a kitchen with island, dining area, living room, powder room, laundry/sewing room office nook. 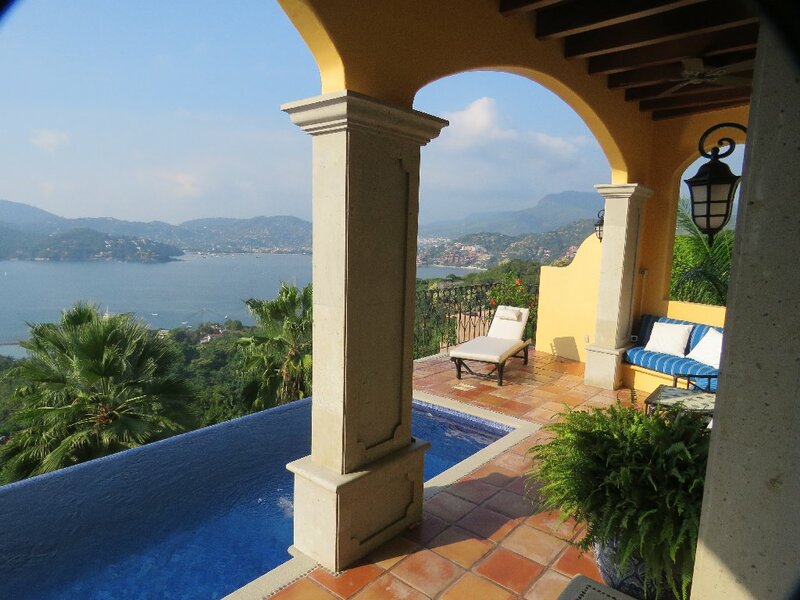 From this level you walk out onto a partly covered pool terrace with 3 graceful arches supported by columns. 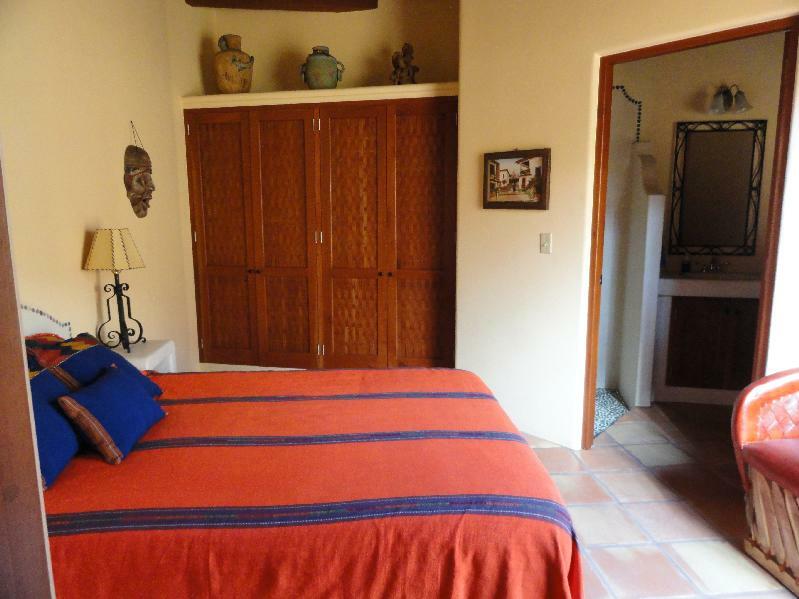 The upper area has a large master bedroom which opens out onto a covered deck the full width of the house. 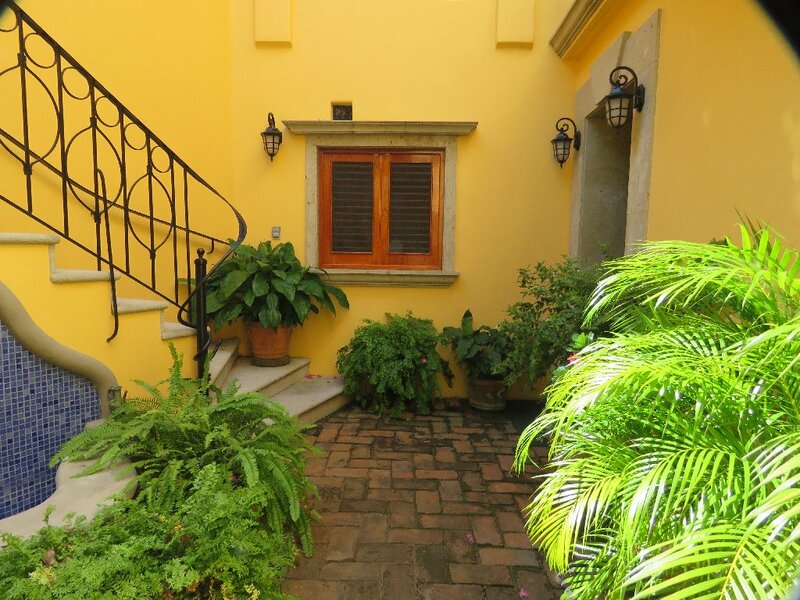 The second bedroom opens onto the front deck overlooking a private courtyard with a fountain. 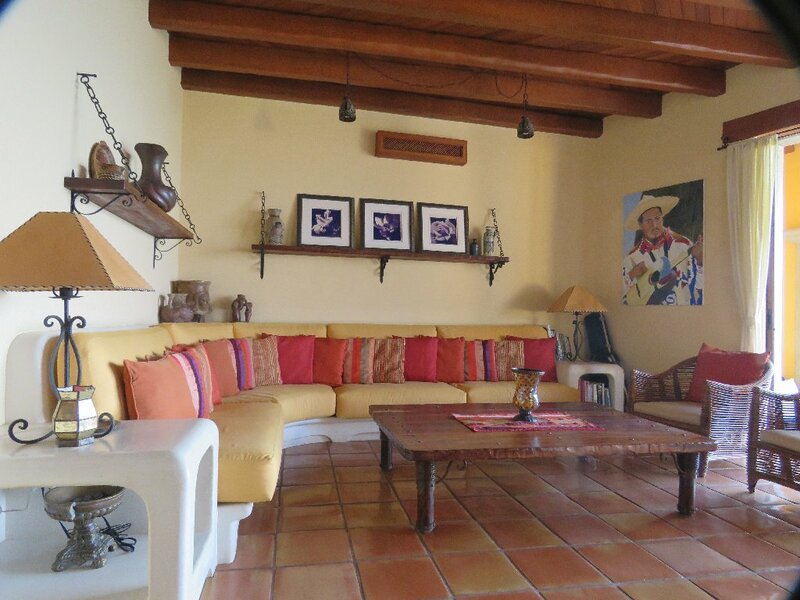 All of the furniture and most of the contents will be included in the sale. 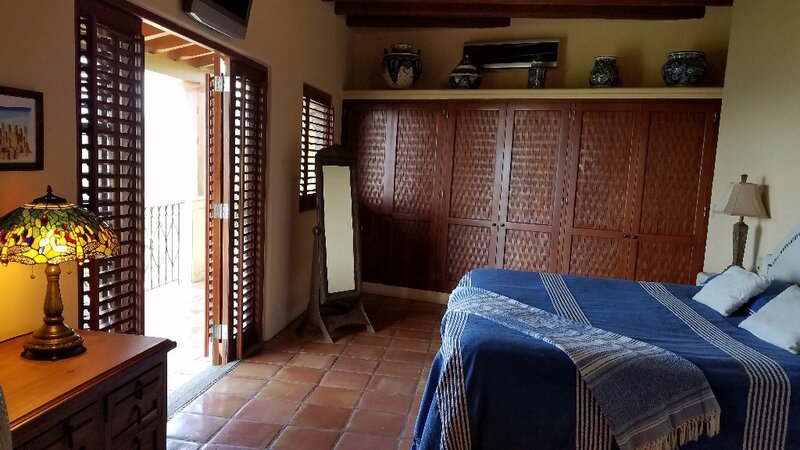 There is a large area under the pool deck that is being used as a gym /study with an adjacent storage room.